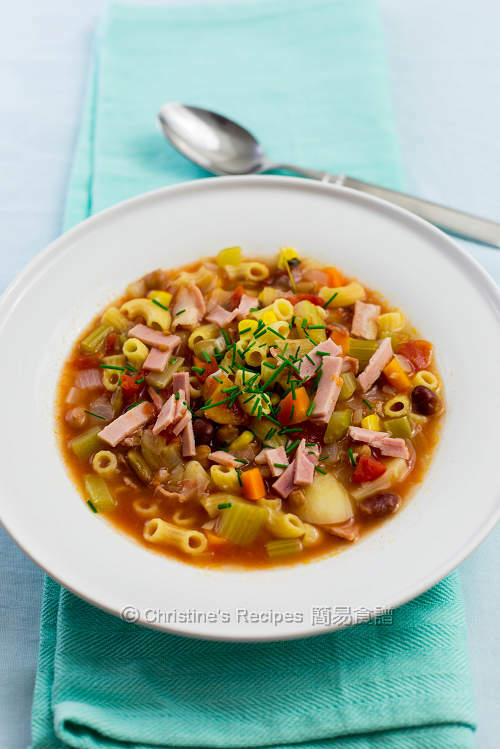 When the weather is getting cold, I’d think of making this popular Italian vegetable soup to warm my body up. Having said that, this soup is also suitable for any season throughout the year, as well as a saver for me on any hectic days. 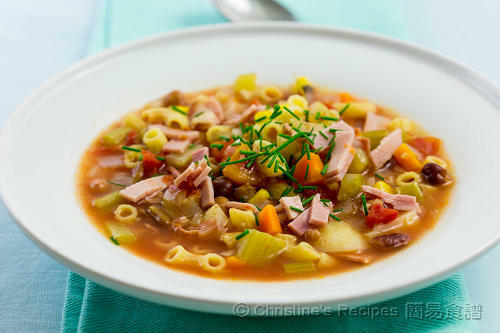 It’s hearty and easy to make. 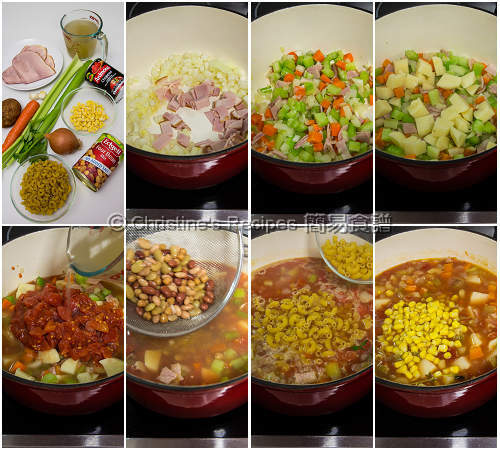 All I need is to put what I’ve got in my fridge or pantry to make this soup. I often like to put some canned beans to increase nutrients. This time I used four mixed beans. Simply drain them from the can and briefly cook with other ingredients. Then I’ll have more textures in the soup. Use a large heavy-based pot, heat oil over medium-high heat. Saute garlic and onion. Add the celery, carrot and potato. Stir to combine and cook for 5 minutes. Pour in the diced Italian tomatoes, chicken stock and beans. Reduce heat to medium and cook for 10 minutes. Add the macaroni. Follow the suggested cooking time on the packaging and cook until 3 minutes just before they become al dente. Stir in the corn kernels. Cook for further 3 minutes. Season with salt and pepper. Done. Serve hot. I highly recommend to add beans into this soup. Beans are nutritious. I used 4 different beans in a can, including red kidney beans, baby lima beans, chick peas and butter beans. You may use any cooked beans you like. 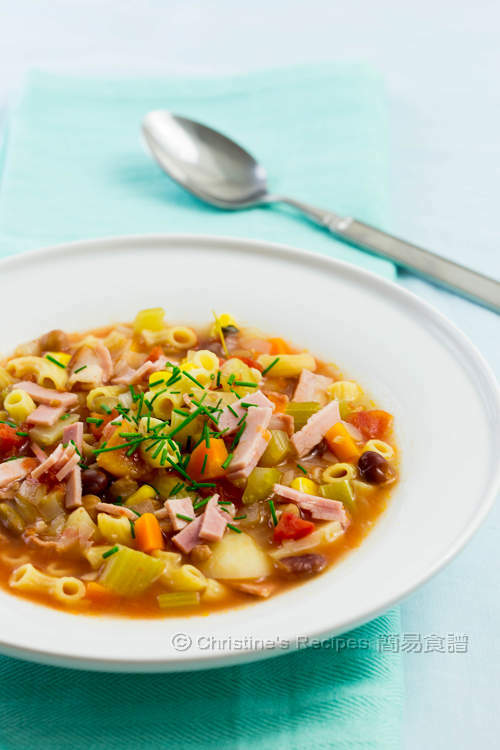 This is a perfectly comforting and delicious soup for the rainy windy weather we have over here.